25 cm x 13 cm / 9.8" x 5.3"
While disposable wet wipes are convenient to quickly get dirty hands, faces and baby bottoms clean, many are filled with toxic chemicals and nearly all of them wreak havoc on our environment. They clog sewer systems when flushed, and can wind up on beaches and in waterways, too. 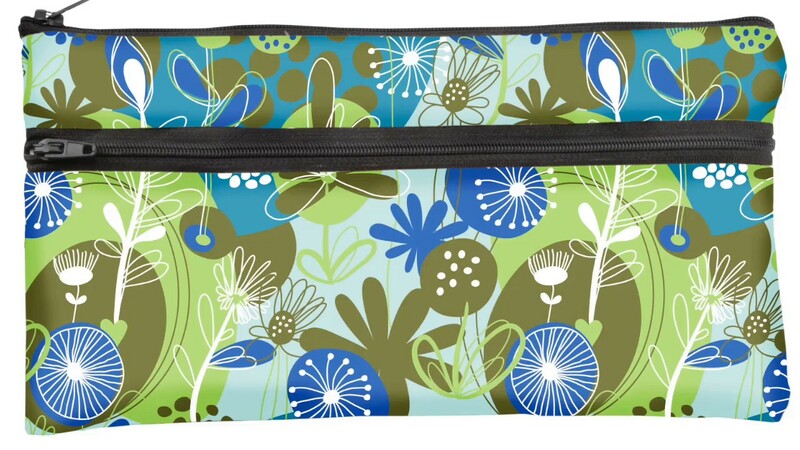 Go green with the Norwex reusable solution—our eco-friendly Reusable Wet Wipes Bag. It’s perfect for carrying unused dry cloths as well as wet used cloths on the go, and cleans up easily once you get home. • Use the front pocket for dry or unused items, and the larger pocket for wet or used items. • Machine-washable. Hang to dry. • Large pocket is lined with water resistant PEVA to hold wet cloths. • Wet wipes are one of the most common consumer items in our landfills, making up 30% of nonbiodegradable waste. • Sewer systems in North America and elsewhere are being strangled by “flushable” wipes. Blocked sewers can affect waterways when they overflow into rivers and oceans, impacting marine life and ecosystems. • A British study found a 50% increase in the accumulation of wet wipes on the country’s beaches in one year. • Typical antibacterial wet wipes can also harbor hundreds of untested chemicals in the form of fragrances. • PEVA (polyethylene vinyl acetate) is a non-chlorinated vinyl alternative to PVC.